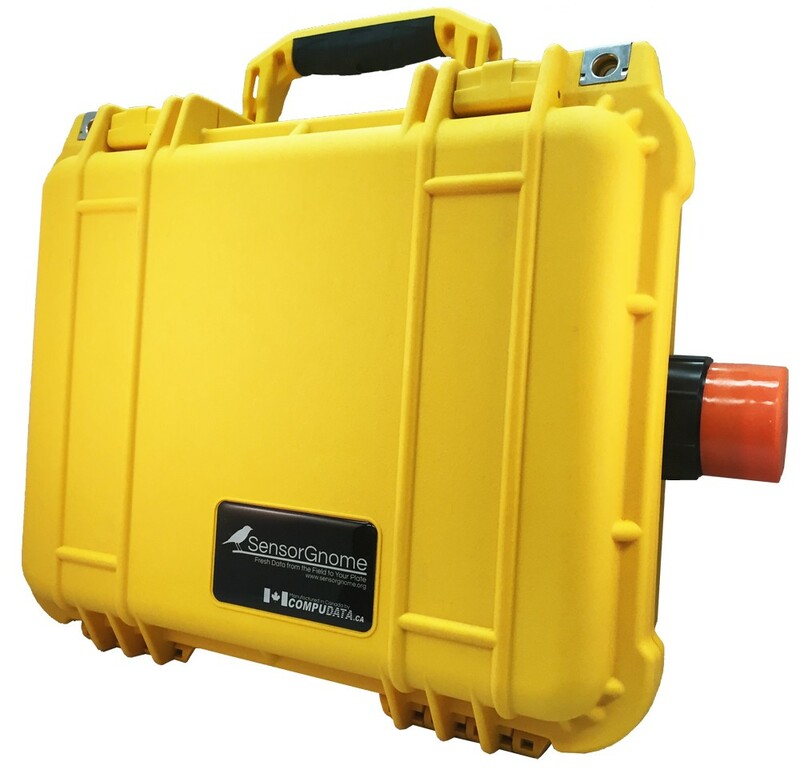 SensorGnomes are an Automated VHF Telemetry system that enables recording of signals from transmitter tags deployed on animals, and acoustic monitoring by recording signals from microphones with high-precision timestamps. Compudata and SensorGnome.org have teamed up in order to provide you with a SensorGnome product manufactured in North America, quality assurance tested and shipped to you ready for deployment. Since 1995, Compudata has focused on servicing the needs of higher education, medical and research clients. We specialize in the design, manufacturing and delivery of complete turnkey solutions for organizations looking to bring a unique product to market. We handle all aspects of your platform from assembly, custom firmware and branding, to a fully certified ESA/CSA product. Compudata’s core business has centered on building exceptional products including workstations, servers and specialized controllers for the research community. All hardware is custom configured and manufactured to precisely match your requirements. Through direct sales and a dedicated network of resellers across the nation, Compudata has an install base of thousands of specialized systems sold to educational, government and small business/commercial customers throughout North America. For orders of 1-9 units, Compudata will provide a quotation for shipping expenses within Canada. Shipments to the USA will also incur duty and custom fees in addition to standard shipping rates, which are generally collected by the courier. Please provide your destination address for an accurate shipping quotation. Compudata will provide free freight for courier shipments of 10+ units within North America. The lead time typically is 15-20 business days for forecasted individual shipments, plus approximately 3-7 days for transit. Compudata will provide free freight for skid deliveries of 50+ units within North America. The lead time for skid delivery is approximately 20-25 business days, plus approximately one week for transit. For deliveries outside of North America, please contact us for a quote. Duties and customs will apply in addition to standard shipping rates, and is generally collected by the courier. Please provide your destination address for an accurate shipping quotation. Compudata will make every effort to accommodate any new software versions or releases as identified. In all cases, Compudata will represent the best interest for our customers and work on your behalf with specific component manufacturers to accommodate any request. Beginning to ship production Raspberry Pi based SensorGnomes (maximum 4x FunCubes). 6x Raspberry Pi 3 SensorGnomes in Field Testing on Motus Network. Integration of exterior WIFI switch. Switch will activate temporary WIFI Hot Spot to allow users to connect to their data without the requirement to open the SensorGnome to physically connect or remove the SD Card. Achieving total customer satisfaction is the foundation of Compudata’s meticulous Quality Control procedures. All SensorGnome kits will include only new components, undergo at least twenty-four hours of “burn in” time testing, and will be subject to software and hardware testing protocol that include over fifty individual assembly and quality checks to ensure consistency. Compudata continuously improves and further develops quality control procedures. 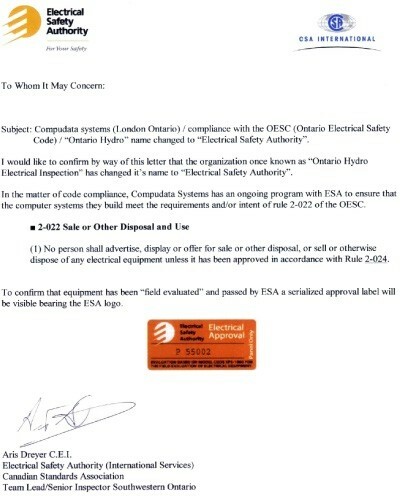 All custom assemblies are completely inspected by Compudata as well will undergo inspection by the Electrical Safety Authority in our London Ontario Assembly Facility. Compudata’s core business has centered on building exceptional products including workstations, servers and specialized controllers for the research community. 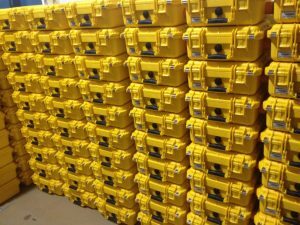 All hardware is custom configured and manufactured to precisely match your requirements. Through direct sales and a dedicated network of resellers across the nation, Compudata has an install base of thousands of specialized systems sold to educational, government and small business/commercial customers across Canada. Compudata has included ESA certification as part of our SensorGnome configuration. The ESA will certify Compudata’s SensorGnome as a complete solution, further protecting our customer and Compudata from any unforeseen electrical or component failure. At Compudata we believe service isn’t just a department; it’s an attitude. We are committed to both our customers and our products, and knowing that how we support our customer is a true measure of our quality. Communication, respect and excellence is what we thrive to provide throughout every step of our customer support process. Compudata is proud to deliver a superior product in which we can boast a DOA rate of less than 0.05%. In order to return hardware to Compudata, you must first obtain a RMA/case number from Compudata. Please contact Compudata Support by telephone; Toll Free in North America: 855-405-8889 (Outside North America 1-519-652-5664), by emailing support@compudata.ca, or by using one of the options here. Unauthorized packages may be refused by Compudata Receiving and will be returned to the customer, unprocessed, and at the customer’s expense. Please do not add new items or products to an issued RMA number, as any unauthorized items or products may be refused or may delay the processing of the entire shipment. SensorGnomes built by Compudata come with a standard one year complete advanced replacement warranty, as well as the option for a five year SensorGnome advanced replacement warranty. Compudata will assume the cost for shipping to the client within continental North America. Systems and components that are sold with an extended warranty will be supported by Compudata for the duration of the extended warranty period. The end user is responsible for return shipping of a defective unit from your destination to Compudata. To guarantee that a superior level of service is maintained, Compudata has spare SensorGnome systems on hand, as well a full set of replacement components to ensure any technical matters are resolved immediately, for systems provided under warranty. Compudata will support and replace components under the manufactures standard warranty up to a period of one year. SensorGnomes purchased with an extended warranty will be supported for the duration of the extended warranty period. Products damaged by natural causes, including, but not limited to, flood, electrical storm, or rodent infestation is not supported or covered by our manufacture partners. As such, we are unable to support such failure.